Going green is a great idea, and it also happens to appeal to many consumers, including many of the people who’re likely to join your gym. You may be hearing the term Sustainability; it’s basically the technical term that means going green. As a buzzword, sustainability is popular in commercial real estate (CRE) circles. As you probably know painfully well, when you establish a gym facility, a substantial slice of the cost of being in the gym business will go to real estate, along with the associated costs of occupying a commercial building. Sustainability is something you’ll read about in facilities management and commercial real estate brochures and journals, but what does it mean? In the broadest terms, it’s the practice of utilizing your assets today, while committing to the intention of having them forever. In practice, it means energy efficiency and taking care of your club. Assuming you are in a new building, the traditional accounting assumption is that buildings wear out in about forty years, the usual period over which to depreciate the structure of a building. The move toward greater sustainability calls this assumption into question and, instead, guides you to take care of your capital assets in an open-ended way. Even if your shed is an older building and fully depreciated, it means extending the life of the building. If you own the building that your fitness club occupies, that is simple enough, if you’re a tenant, you will have to work with the landlord, and that depends on whatever sustainability policy they hold will be a limit to yours. Fortunately, sustainability is en vogue in the commercial real estate industry. Either your landlord or their property managers are likely to be developing sustainability policies if they don’t have one already. So, building structure aside everything else to do with sustainability is within your control as a fitness club owner. There are many reasons why you might want to cultivate sustainability for your club. If you could get to zero energy consumption, your ultimate goal should be able to cut your energy bill to zero too. If you can at least reduce your energy costs, it might increase your profits enough to cover your cost of living for a month or more. In some parts of the country like the South and South West, it’s feasible to install solar panels on rooftops and send the excess energy to the grid throughout the day, drawing it back at night. Even in climates that have less consistent sunlight improved solar cell efficiency means that the investment can return significant energy savings. Busy gyms will become even more efficient as energy storage becomes a practical reality. If you can generate power in the daylight hours, but your peak demand is after dark, you need battery storage. Thanks to companies like Tesla, the technology is becoming more available and getting cheaper every year. 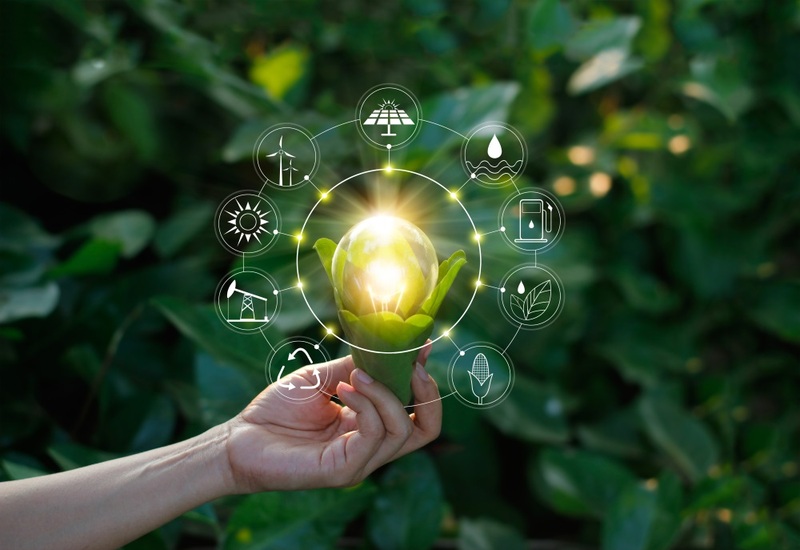 It may be that the greatest progress toward net-zero-energy is in reducing energy consumption: HVAC or heating, ventilation, and air conditioning, as well as lighting and power. Any large interior space such as a gym facility will consume all of these and have the monthly utility bill to match. Replacing outdated HVAC equipment and sealing leaky gaps that let heat in or out saves lots of energy. Changing out conventional bulbs for LED lighting can cut lighting costs by a factor of six or more. Smart systems that analyze energy usage can also help to find the sources of energy waste and potentially pay off the installation investment in energy savings. If you take on a long-term mindset and commit to sustainability, it may change the way you choose programming and influence choices such as between leasing mechanical fitness equipment or kettlebells and other free weights. Do you choose to put in a swimming pool or use the space for open floor classes? There are a lot of questions you can ask, and the answers will be different for every gym or brand. Many of the people who work out and who purchase premium products and services also value sustainability. A transparent sustainability policy and a green touch may help you to expand your membership and even increase the lifetime value of your customers. Committing to sustainability is a positive step that aligns with landlords, governments, and many consumers. For gym business owners, sustainability is an investment in saving the cost of energy as well as to the community. Eartheasy.com. LED Light Bulbs: Comparison Charts. https://learn.eartheasy.com/guides/led-light-bulbs-comparison-charts/ (accessed January 15, 2019). Fagan, Lawrence. Get Gym Management Leverage With the 80/20 Rule. November 25, 2013. https://blog.gyminsight.com/2204-get-gym-management-leverage-with-the-8020-rule/ (accessed August 2, 2018). —. How CRE Trends Have Fitness Entrepreneurs Moving To The Mall. October 23, 2018. https://blog.gyminsight.com/5202-how-cre-trends-have-fitness-entrepreneurs-moving-to-the-mall/ (accessed January 15, 2019). —. Starting A Gym Business Means Sacrifice Struggle And Reward. December 13, 2018. https://blog.gyminsight.com/5285-starting-a-gym-business-means-sacrifice-struggle-and-reward/ (accessed January 15, 2019). Kenton, Will. Sustainability. December 14, 2018. https://www.investopedia.com/terms/s/sustainability.asp (accessed January 15, 2019). Office of Energy Efficiency and Renewable Energy. Zero Energy Buildings. https://www.energy.gov/eere/buildings/zero-energy-buildings (accessed January 15, 2019). PG&E. 6 Sustainability Tips for Commercial HVAC That Also Save Money. December 8, 2017. https://www.pge.com/en_US/small-medium-business/business-resource-center/energy-management-articles/energy-management-articles/past-articles/6-sustainability-tips-for-commercial-hvac-that-also-save-money.page (accessed January 15, 2019).